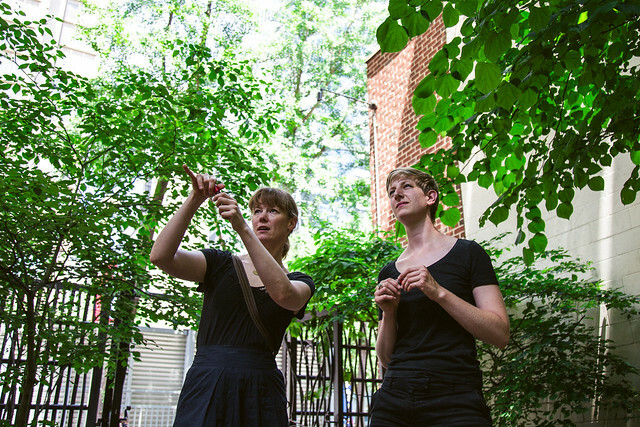 The Philadelphia Avian Choir is a bird call ensemble where members use Audubon bird call instruments to mimic the frantic call and response of birds in public spaces. 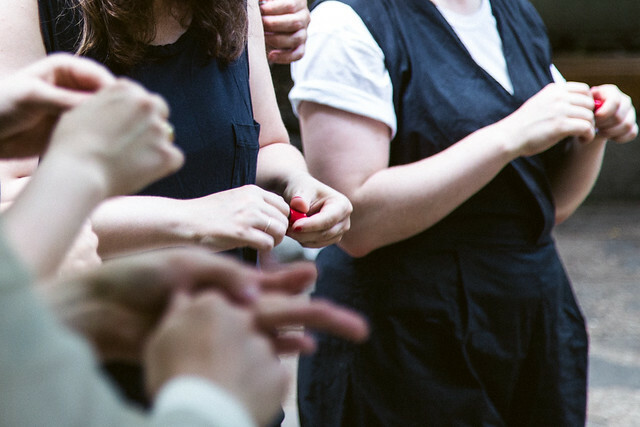 With the instruments played discreetly in their hands, the choir exaggerates preexisting bird calls, while also attracting birds to "sing along" with them. 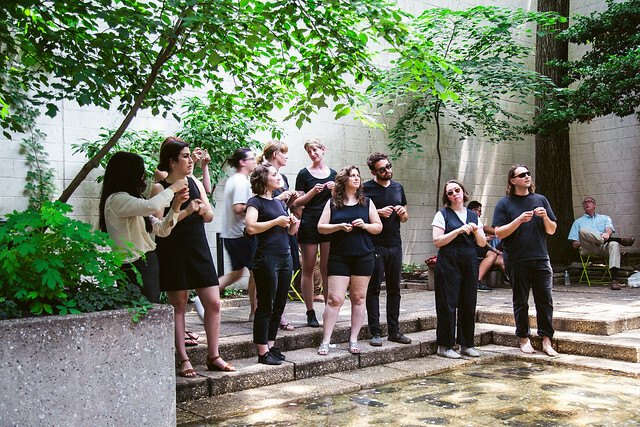 For their debut performance, The Philadelphia Avian Choir engaged Joan F. Collins park during workers' lunch break treating it as a stage for performance. 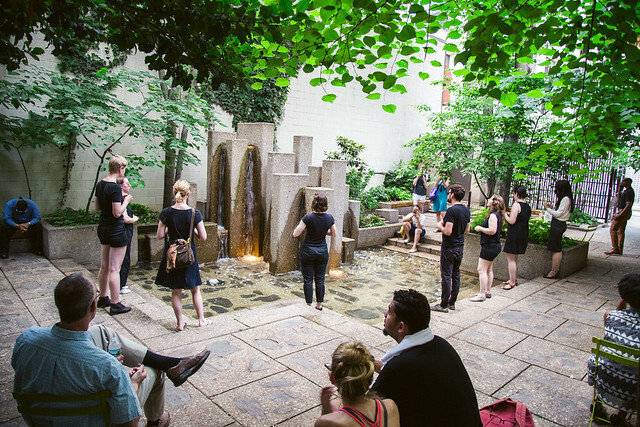 The choir considered the two entrances on Chestnut Street and Ranstead Street as stage wings, and used the chairs, the tables, the water fountain, and the trees as props and scenery. Photographs are courtesy of Emily Bucholz. Video footage is courtesy of Jenny Drumgoole.